. إن الخدمات الممتازة وحسن الضيافة العالي في At The Rocks Motor Lodge تجعل إقامتك تجربة لا تنسى. يقدم الفندق واي فاي مجاني في جميع الغرف, مرافق مخصصة لذوي الاحتياجات الخاصة, صف السيارات, خدمة الغرف لضمان الراحة القصوى لضيوفه. 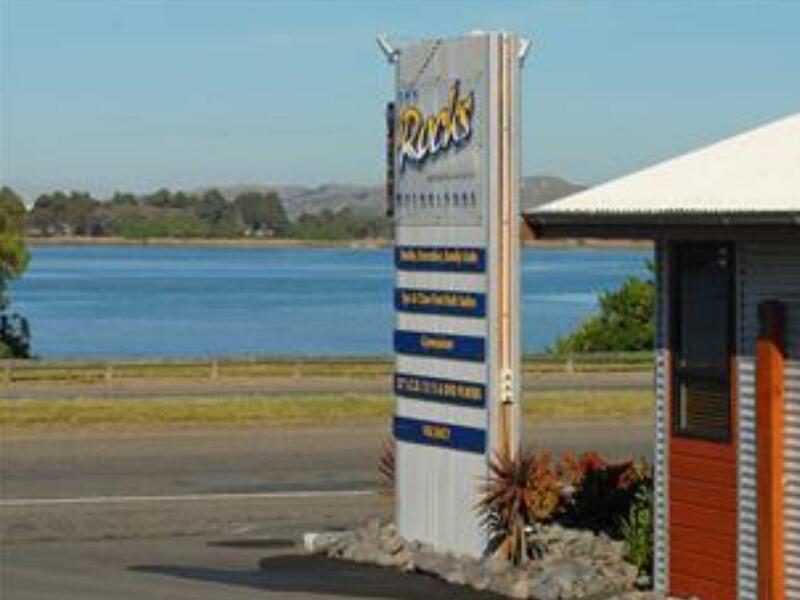 في At The Rocks Motor Lodge غرف نوم يزيد عددها عن 13 صممت بذوق وعناية لتوفر لك كل وسائل الراحة . بعضها يحتوي أضاً على تلفزيون بشاشة مسطحة, اتصال لاسلكي بشبكة الإنترنت (مجاني), حوض الاسترخاء, غرف لغير المدخنين, تدفئة. يقدم الفندق خدمات رائعة كمثل مركز للياقة البدنية لمساعدتك على الاسترخاء بعد نهار طويل من النشاط والتجوال في المدينة. إن At The Rocks Motor Lodge هو مكان مثالي للمسافرين الذين يتطلعون إلى الراحة والاستجمام في نابير. I was very impressed with the room we stayed in. 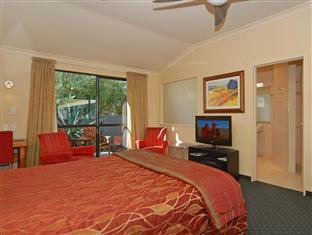 It was spacious, with queen bed and single bed in another room. The furnishings were of high standard. There was a spa bath with shower. The Tv had lots of channels, including sports channel, but even better than that, you could record your programmes. 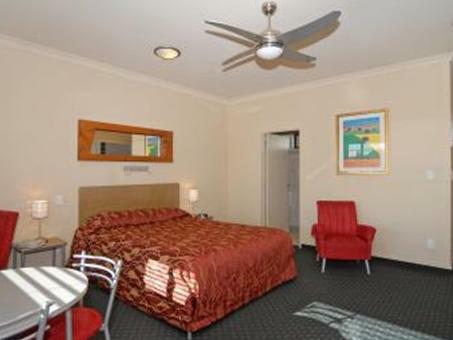 The room was very clean, and serviced on a daily basis. The room had a heat pump, but there was lots of windows for ventilation. Parking was right outside our room. Lady at reception was very friendly. I Definitely will stay here again. After we checked in, the lady on reception noticed we had expensive bikes on the back of the car. She offered to move us to a larger room so that we could take our bikes inside at night. I arrived before rooms were ready but they gave me the first available which I appreciated. Very friendly staff. Nice big room with an equally big bathroom. Really comfy bed and quiet room. Would recommend. 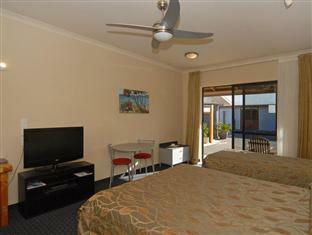 Excellent place and had that homely feel...stayed 2 nights and wanted to stay another but were fully booked, not surprised. Short walk to restaurants but 10 min drive to Napier centre. Limited cooking facilities in studio. Ithis place was relatively nice. One thing to note is that it had no air conditioner which was fine for us but could be a concern depending on time of year and weather. Our bathroom had a lovely jacuzzi tub with a shower head which would've been really great except the knob that converted the flow of water from tub spout to shower head would pop completely out it you pulled it too hard and then water would spray everywhere. As a side effect of this defect, you could not actually fully divert the flow of water to the shower head. The best we could do was get the flow to come out evenly out of both the tub spout and the shower head which led to poor water pressure. Very handy to the shore and great rides / walks. Easy walk to restaurants. Considering the "last minute booking reduced price" I was a bit disappointed with unit. Very well appointed bathroom but kitchen only had a microwave for cooking. There was only 1 easy chair in room and it would have been uncomfortable for 2 if there more than one night. Outside space impractical for a quiet wine or read. Close to water and just outside of the noise and movement of the city. We had a nice and private room. Close to both lagoon and ocean and 5 min drive to town. 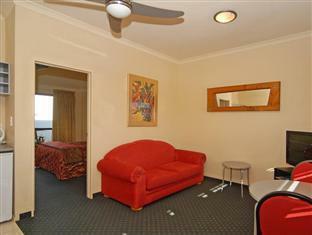 Exceptional value for money, considering we booked in the night before visiting Napier. The room was far beyond what we were expecting and the staff were very kind! I would definitely consider At The Rocks next time I'm in Napier!